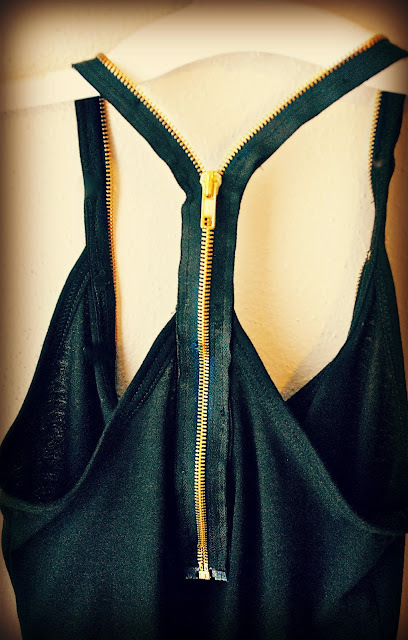 Trash To Couture: DIY Plain tank sewn zipper racer back. 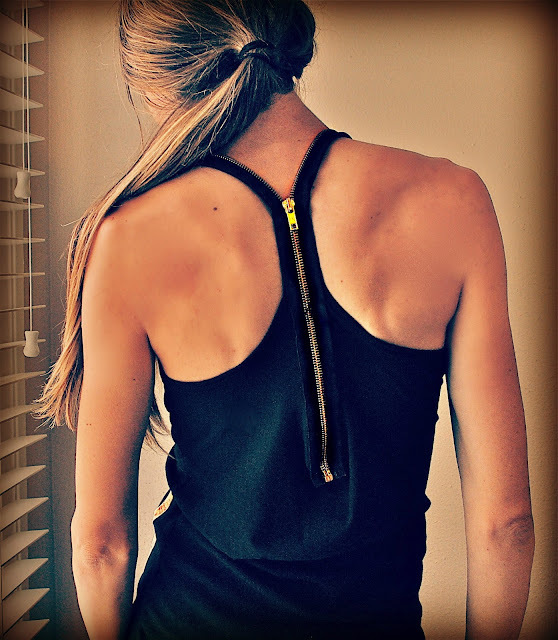 DIY Plain tank sewn zipper racer back. Spaghetti tank refashion, this time with a zipper. Follow the same instruction for the grommet tank (here), but using a zipper. Or watch the video tutorial here. The length of the zipper is your choice. You can stitch it around the front or stop at the top of the back neckline like I did. Ah! Can't wait to try this! Very cute. So simple and edgy. Have the perfect navy tank, now to find a coral zipper! regular. When you zip it up it becomes racer-back. ou my. so usefull tutorial.. must try. would you like to follow each other?? 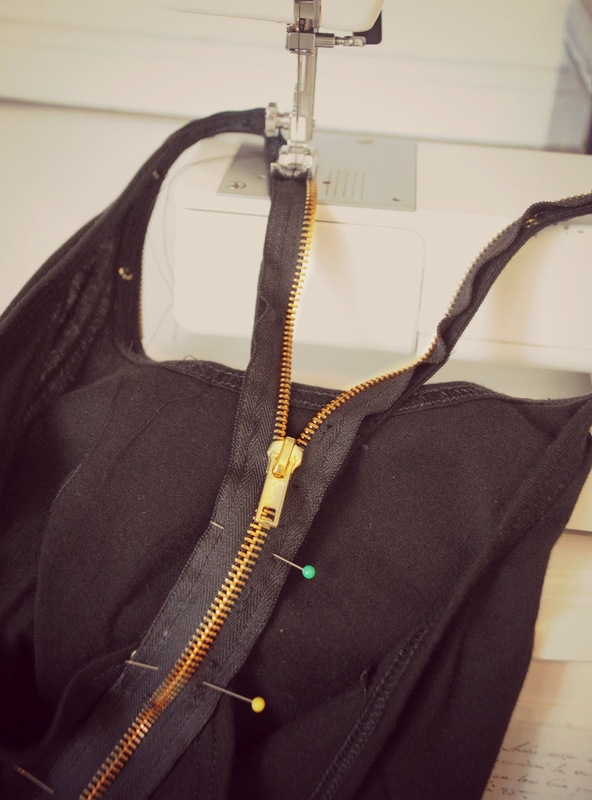 how did you stop the zipper without making it look weird? I tried making this today, but starting the zipper at the bottom of the neckline on the back created a lot of awkward extra folds of fabric when I zipped it up. What size tank did you use? Do I cut a V shape fabric our before attaching the zipper first? I tried this but it pulled the top in making it too tight, dud you use a size bigger? could you please make a more in depth video!! Awesome! What does look like in the front? A great initiative, it is worth doing such things.